High intake of carbohydrates, particularly sucrose, in western societies is associated with the development of non-alcoholic fatty liver (NAFL) and diabetes mellitus. It is unclear whether this is related primarily to the carbohydrate quantity or to the hormonal responses, particularly glucose-dependent insulinotropic polypeptide (GIP), which is released in the proximal intestine. Therefore, we investigated the role of GIP by comparing two glucose–fructose dimers, sucrose and Palatinose (isomaltulose), resorbed proximally or distally. The glycaemic and incretin responses to sucrose and Palatinose were studied by oral gavage and meal tests. We then analysed phenotypic and metabolic diet-induced changes in C57Bl/6J mice exposed to isoenergetic diets differing in carbohydrate type. Studies were repeated in GIP receptor knockout (Gipr −/−) mice and their wild-type littermates. Compared with sucrose, Palatinose intake resulted in slower glucose absorption and reduced postprandial insulin and GIP levels. 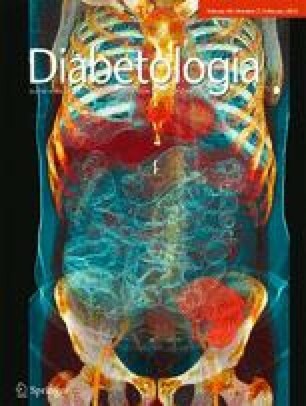 After 22 weeks, Palatinose feeding prevented hepatic steatosis (48.5%) compared with sucrose and improved glucose tolerance, without differences in body composition and food intake. Ablation of GIP signalling in Gipr −/− mice completely prevented the deleterious metabolic effects of sucrose feeding. Furthermore, our microarray analysis indicated that sucrose increased 2.3-fold the hepatic expression of Socs2, which is involved in the growth hormone signalling pathway and participates in the development of NAFL. Our results suggest that the site of glucose absorption and the GIP response determine liver fat accumulation and insulin resistance. GIP may play a role in sucrose induced fatty liver by regulating the expression of Socs2. Dr Frank Isken, who contributed to this research, passed away on 4 October 2010 prior to the publication of this work. The online version of this article (doi: 10.1007/s00125-014-3423-5) contains peer-reviewed but unedited supplementary material, which is available to authorised users. The authors would like to acknowledge the excellent technical assistance of S. Richter and K. Sprengel (Department of Clinical Nutrition, German Institute of Human Nutrition, Nuthetal, Germany) for metabolite measurements, A. Bettenbrock (Institute of Experimental Genetics and German Mouse Clinic, Helmholtz Zentrum München GmbH, Neuherberg, Germany) for performing microarray experiments. This study was partially supported by a grant from the German Research Foundation (PF164/14-2) to AFHP, by a grant from the German Research Foundation (BI1292/4-1) to ALB, and by a grant from the Helmholtz Alliance ICEMED to JB. FKN designed experiments, researched data, wrote and edited the manuscript. FI designed experiments and researched data. MI researched and analysed microarray data, wrote and edited the manuscript. EKW researched data, wrote and edited the manuscript. JB researched and analysed microarray data, wrote and edited the manuscript. ALB researched data, wrote and edited the manuscript. AFHP designed experiments, wrote and edited the manuscript and obtained funding supporting the research. AFHP has full access to all data in the study and takes responsibility for the integrity of data and the accuracy of the data analysis. All authors approved the final version of the manuscript. FI passed away and was not involved in drafting the paper.